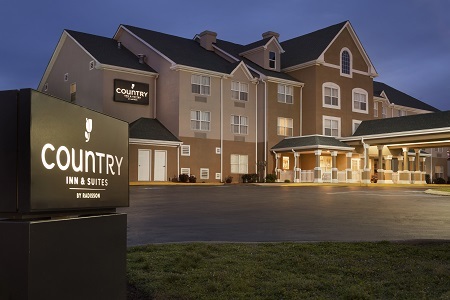 The Country Inn & Suites® by Radisson, Nashville, TN is perfect for country music fans looking for hotel rooms near the Grand Ole Opry. We’re also within a mile of the trade shows at Gaylord Convention Center and two miles from scenic cruises aboard the General Jackson Showboat. If you're here to explore Nashville’s nightlife, you can shop for a new outfit at the Opry Mills mall, less than 10 minutes away. Traveling with the family? 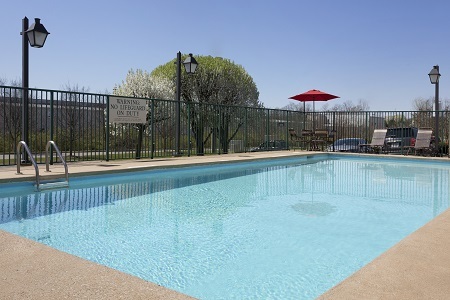 Don’t miss a day of fun at the Nashville Zoo followed by a dip in our hotel’s outdoor pool. 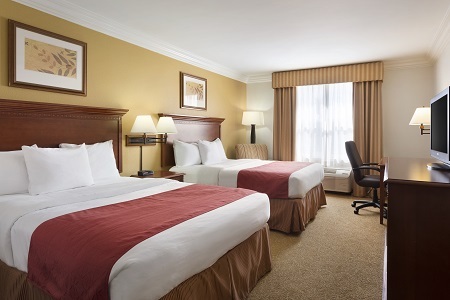 If you’re traveling with friends or family, book the spacious One-bedroom Suite with a king bed and a queen-size sleeper sofa. 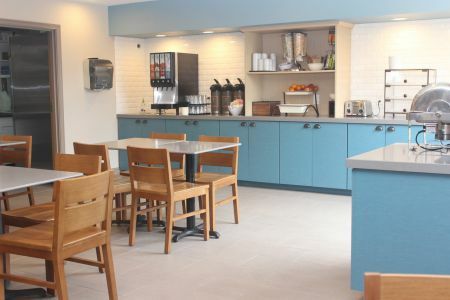 From waffles and eggs to French toast and biscuits with gravy, our free, hot breakfast in our updated breakfast area includes morning favorites certain to satisfy every craving. If you’re around for lunch or dinner, try a nearby restaurant like Caney Fork River Valley Grille, famous for its catfish, or Prince’s Hot Chicken Shack, which features tongue-tingling spicy chicken. Grand Ole Opry – Some of country music’s greatest performers got their start at this world-famous venue two miles from the hotel. Tap your toes to the music of rising stars like Lauren Alaina or all-time favorites like Martina McBride. Country Music Hall of Fame – A visit to Music City would be incomplete without a stop at this attraction that celebrates the big names of country music with rotating exhibits spotlighting legendary singers. 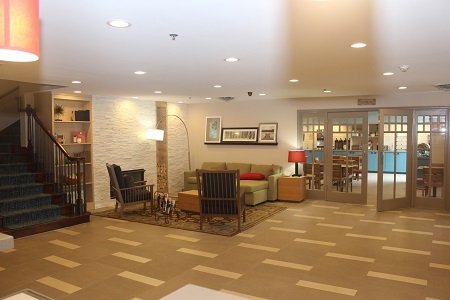 Located about 10 miles from the hotel, the hall of fame also features weekly music demonstrations and an educational center. Nashville Zoo – Got a soft spot for animals? If so, don’t miss the Nashville Zoo at Grassmere, home to more than 2,700 animals. Interact with them at the Critter Encounters exhibit or view them from afar aboard the Wilderness Express Train.